For some reason, when I was doing the Fly Boy quilt, I had an excess of flying geese units. I was just going to put them in my crumb block bag as they're not my favourite, but I thought it would be a waste. I've got them all joined together, and this will form the centre of a small quilt. I have borders to go on, then I might love them a little bit more. One thing about coming back to something I did so long ago, I can see how far I've come in piecing my blocks. Some of these are pretty horrendous, the ones I do now are a lot better. I'm hoping the borders will help to cover a multitude of sins. Sometimes it's nice to have reminders of how our skills have improved. 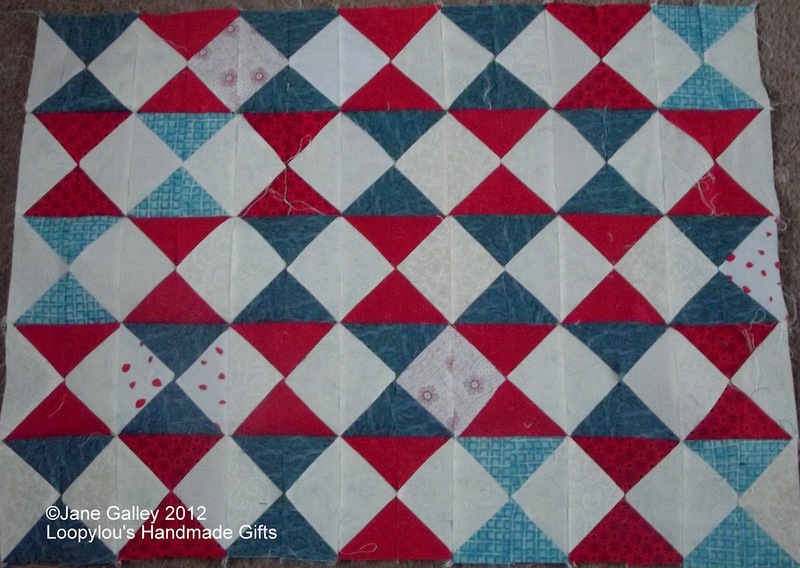 I like the look of this and There are no "Quilt Police"
Pretty, and at least you can see an improvement over time. It looks lovely and I'm looking forward to seeing what you do with the border. I'm finding the same thing as I tackle my old WIPS.....It is nice to see how we improve and I agree with Terry about there being no Quilt Police.